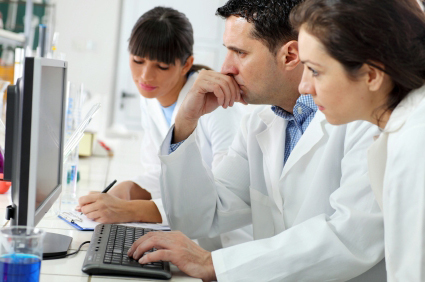 Whitehat produces webinars for the hospital laboratory and point of care community across the US. These educational sessions present a wide range of educational and practical topics chosen by the groups themselves. The educational segments are delivered by respected experts, and offer one P.A.C.E.® Continuing Education contact hour to attendees for 6 months after the live event. These free sessions are funded by our supportive family of vendors and give our affiliated point of care groups the opportunity to communicate, discuss, and share knowledge relating to point of care on a regular basis. Below is the webinar schedule for all of 2019. You may register for any sessions that interest you, regardless of your POC group affiliation. Note: The schedule is still in process at this time, and will continue to be updated for several more weeks. Be sure to check back often as new sessions are posted and opened for registration. Keep up with new webinars - follow us on Twitter! Tuesday, January 29, 2019 10:00 AM Pacific Jim Poggi, "Point of Care Testing: Cost vs. Convenience"
Tuesday, March 5, 2019 1:00 PM Eastern Nam K. Tran, PhD, HCLD (ABB), FACB, "Artificial Intelligence and Disruptive technologies in POC"
Thursday, March 28, 2019 11:00 AM Central Robert Christenson, PhD, DABCC, FACB "Point of Care Troponin Testing: Current Status and Future Promise"
Thursday, April 4, 2019 12:00 PM Eastern James H. Nichols, PhD, DABCC, FAACC "The Nursing-Lab Relationship in POCT: The Good, the Bad and the Ugly of Interdisciplinary Teams"
Thursday, May 9, 2019 12:00 PM Central Jim Poggi, "Point of Care Testing: Cost vs. Convenience"
Wednesday, May 15, 2019 11:00 AM Central Andrew Fletcher, MD, CPE, "Laboratory Stewardship Essentials"
Tuesday, May 21, 2019 12:00 PM Eastern Kathleen David, MT(ASCP), "CAP is Coming, What Do I Do Next?" Thursday, May 30, 2019 11:00 AM Central TBA Registration button coming soon! Thursday, June 6, 2019 1:00 PM Eastern Ron Quicho, MS, "Preparing for Your Joint Commission Survey"
Wednesday, June 12, 2019 10:00 AM Pacific Jan Buss, PhD, "Common Foodborne Illnesses - Causes, New Diagnostics, Reporting"
Tuesday, July 16, 2019 12:00 PM Eastern Jane Smith, MS, MT(ASCP), SI, DLM, "The Ins and Outs of Training, Competency and Educational Requirements" Registration button coming soon! Wednesday, July 24, 2019 12:00 PM Eastern John Toffaletti PhD, "It's Time to Clear the Fog about Kidney Function Testing"
Thursday, August 15, 2019 12:00 PM Mountain Ron Quicho, MS, "Waived Testing: Tips for Resolving Noncompliance Standards"
Tuesday, August 20, 2019 12:00 PM Eastern Marcia Zucker, PhD, "Clinician Versus Laboratorian: Conflict or Collaboration?" Tuesday, August 27, 2019 12:00 PM Eastern Robert Christenson, PhD, DABCC, FACB "Point of Care Troponin Testing: Current Status and Future Promise"
Thursday, September 12, 2019 12:00 PM Eastern TBA Registration button coming soon! Thursday, September 19, 2019 11:00 AM Central Jeanne Mumford, BS, MT(ASCP), "Standardizing Point of Care Testing and Harmonizing Workflows Between Hospitals and Ambulatory Locations"
Tuesday, October 8, 2019 11:00 AM Pacific TBA Registration button coming soon! Thursday, November 7, 2019 12:00 PM Eastern Brenda Suh-Lailam, PhD, DABCC, FAACC, "Standardizing Point-of-Care Instrumentation: One Institution’s Experience"
Thursday, November 14, 2019 12:00 PM Eastern Serafina Brea, MBEE, MLS (ASCP)CM, "CLIA and POCT"
Tuesday, November 19, 2019 12:00 PM Eastern TBA Registration button coming soon! Tuesday, December 3, 2019 12:00 PM Eastern TBA Registration button coming soon! Tuesday, December 10, 2019 12:00 PM Central Jim Poggi, "Standardization of Systems and Lab Results: Some Practical Guidance"
Wednesday, December 11, 2019 11:00 AM Central Nam K. Tran, PhD, HCLD (ABB), FACB, " Detecting Sepsis Via Molecular Testing using a Hybrid POCT/Core Lab Approach"